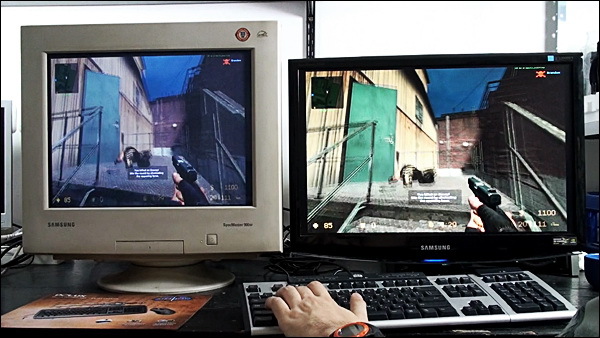 As you probably know the 22″ Samsung 2233RZ LCD display is one of the first two true 120Hz LCD monitors available to the general public with the other one being the ViewSonic VX2265wm FuHzion. 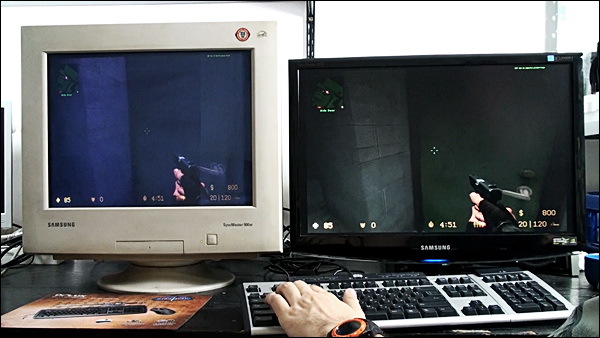 These are the two displays that usually go with Nvidia’s GeForce 3D Vision shutter glasses, providing great Stereoscopic 3D experience, but these monitors are also quite good even when used by themselves in normal 2D mode for gaming of course. 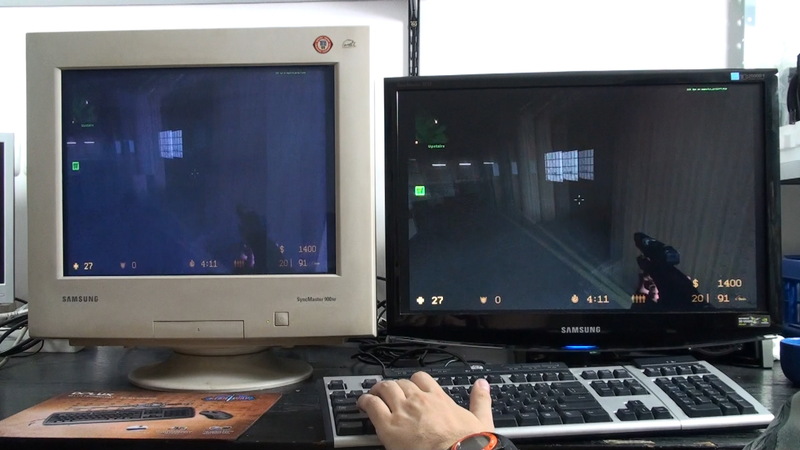 And in order to see how good these new displays are are I took and old CRT monitor and compared it to Samsung 2233RZ with both running at 120Hz in clone mode, showing the same image. 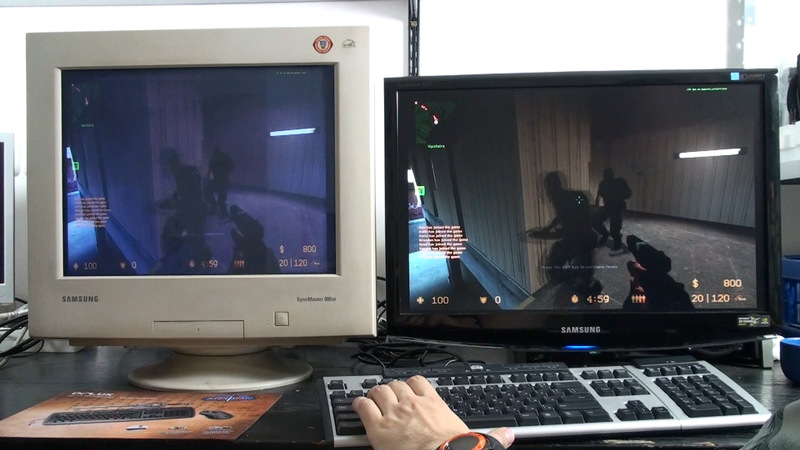 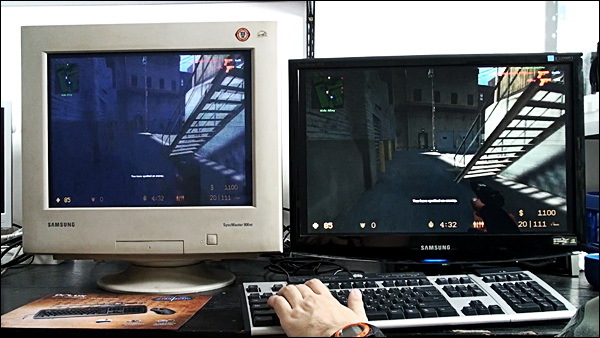 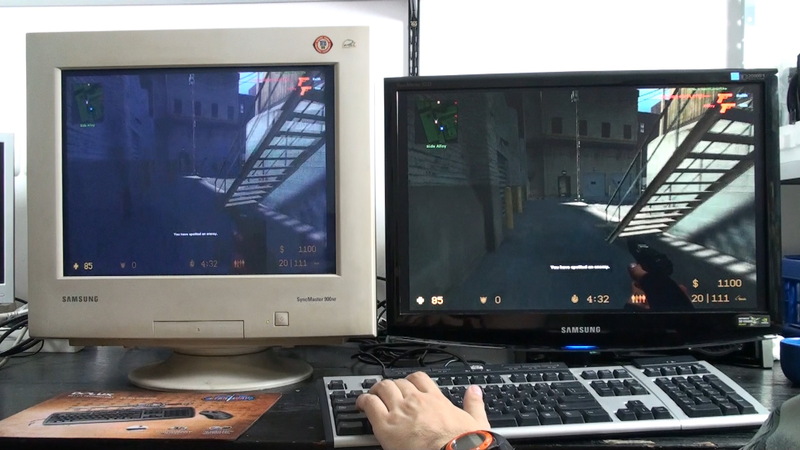 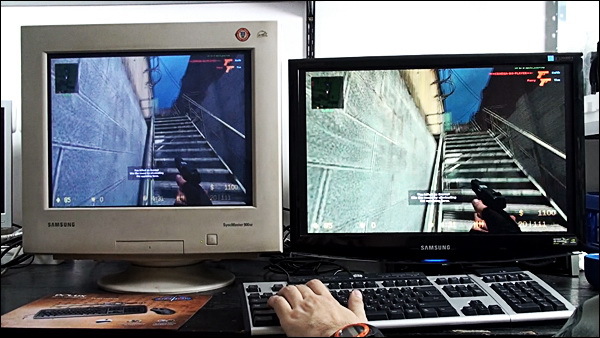 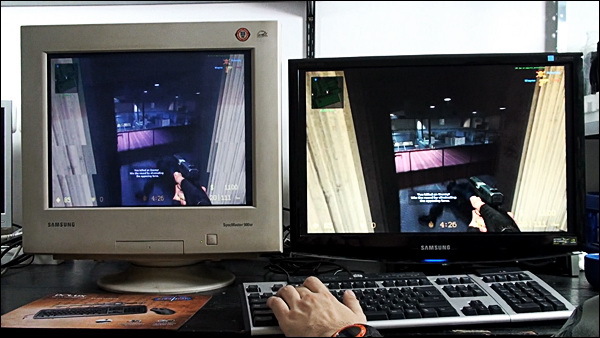 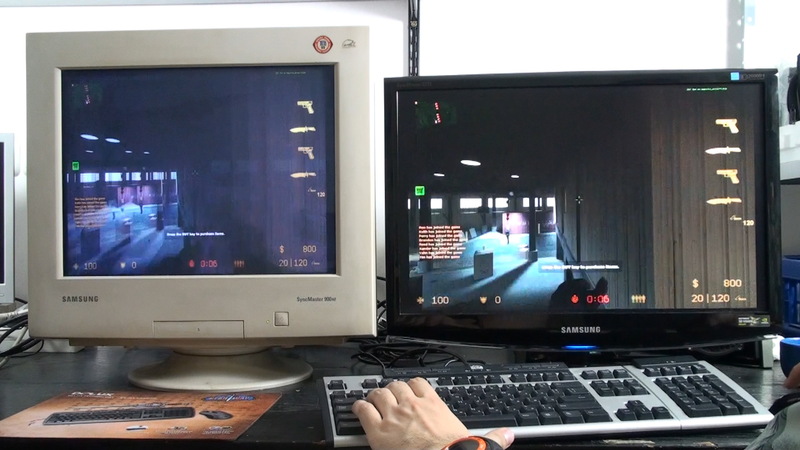 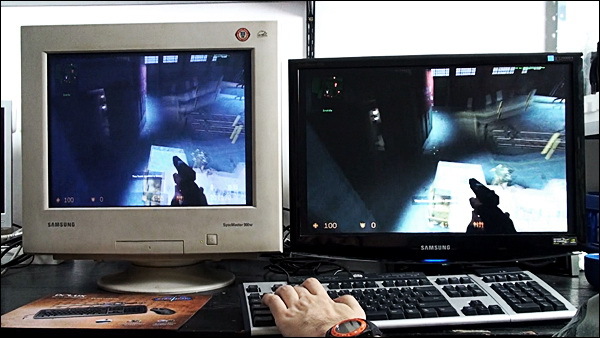 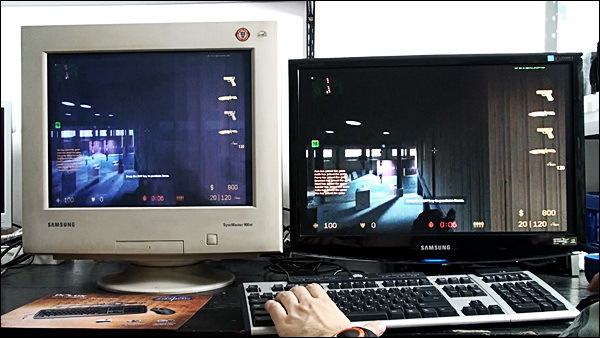 I opted for Counter Strike Source although not a big fan of the CS games, because the original CS game ca run up to 100Hz maximum, and the Source version is capable of playing at 120 hertz or frames (fps) which is more appropriate to be used when talking about the LCDs. Of course the v-sync was enabled in order to prevent the tearing of images while playing the game, so this problem is gone, however you can still notice the bit higher input lag of the LCD compared to the CRT display. 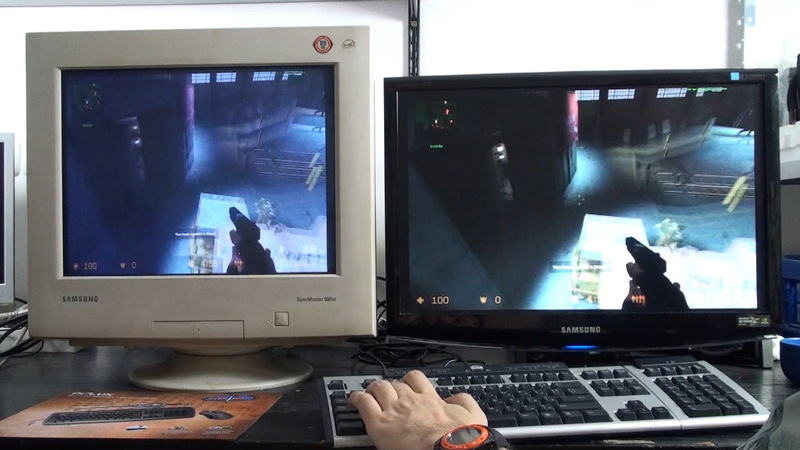 You can watch the HD video above to see what are the differences and they are not much, because the two displays are pretty close in terms of response times with the LCD being in advantage here, because of better brightness, contrast etc. Use the pause button to be able to easily compare stop frames on both screens to get better idea, but here are also some stop frames in Full HD resolution taken from the original video, before being edited and uploaded to youtube.